From Santoki. 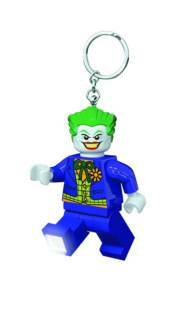 Carry your keys on these keychains that have oversized LEGO minifig danglers of The Joker or Harley Quinn. Plus, touch the button on their chest and the feet turn into a flashlight!